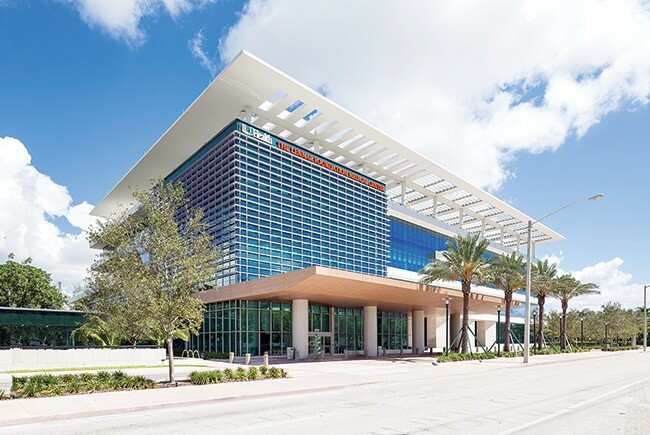 To see the direction hospital health care systems in Florida are heading, look at the five-story, 206,000-sq.-ft. Lennar Foundation Medical Center building on the University of Miami’s campus in Coral Gables. 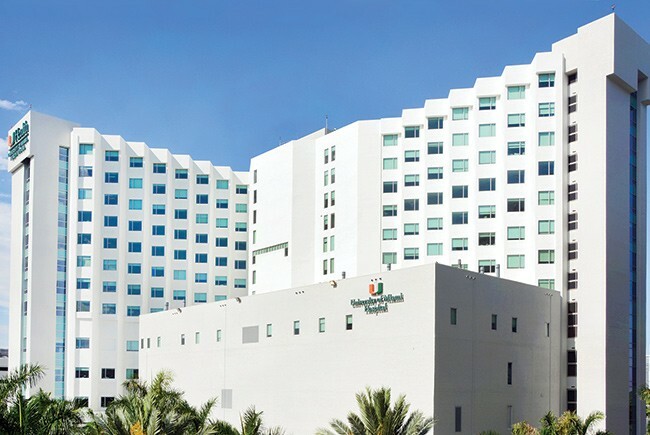 Opened in late 2016, the outpatient center has proved a big success at its two-fold mission: Caring for people’s health and stoking UHealth’s finances by feeding UM’s main academic medical campus eight miles away near downtown Miami. The Lennar facility functions as the community-based spoke to the main campus hub. “That’s the kind of facility we see as the future,” says Trent Smith, UHealth’s chief strategy officer. The arguments for hub-and-spoke models are that people want care closer to their homes, clinic care costs less than hospital care, the systems are more efficient and they allow major hospitals to extend their reach. Advances in electronic medical records have made it easier for spokes to feed patients through the system and for patients to return to local care after surgery. Different facilities within the same system might be a hub for one type of care and a spoke for others. But the aim, says University of Florida health services researcher Paul Duncan, is to get parts of a single organization to coordinate care so that patients get the right care in the right setting. In building out a hub-and-spoke system, UHealth follows a national trend playing out across Florida. In Southeast Florida, it’s as common to hospital systems as an IV drip. Baptist Hospital, the largest Southeast Florida system with 10 hospitals and associated clinics, looks to get ever larger as it affiliates with Boca Raton Regional Hospital in Palm Beach County. Cleveland Clinic Florida, until a few years ago a single hospital in Weston in Broward County, now has spokes in Palm Beach County and north Broward and in the last few months absorbed Martin Health in Martin County and Indian River Medical Center in Vero Beach. Cleveland Clinic went from one hospital and about 10 outpatient sites to four hospitals and 30 more outpatient sites. It now has a hub-and-spoke within a hub-and-spoke as Martin Health’s three hospitals are fed through its local spokes. In turn, they feed patients needing complicated care to Weston, or Weston feeds those hospitals, depending on the care required. Elsewhere in Florida, the NCH Healthcare System in Naples operates an emergency department in Bonita Springs, the NCH Southeast Immediate Care Center on Collier Boulevard, and expects to upgrade its Marco Island urgent care center. Sicker patients are admitted to hospitals, which are evolving into emergency rooms, surgery centers and intensive care units, wrote former NCH CEO Allen Weiss “with those not as ill being managed as outpatients.” Weiss wrote that the strategy can reduce patients’ length of stay in a hospital and also reduce hospital- acquired infections. Hubs, receiving patients from the spokes, achieve the scale or critical mass that allows them to develop expertise and financially pull off complex care. A facility that performs many transplants, for example, means patients get the benefits of more experienced doctors and is better for the institution’s finances than one that performs just a handful. 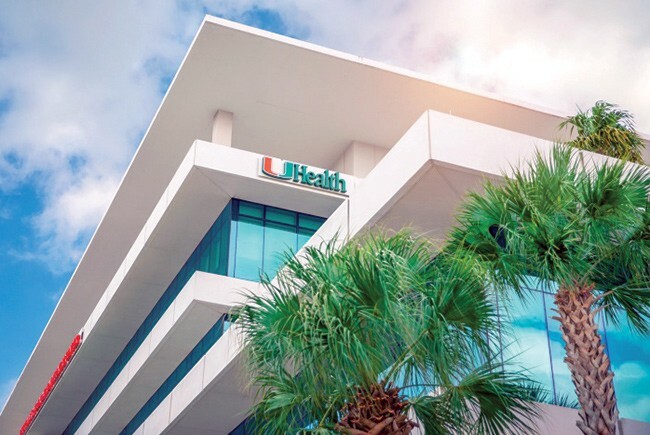 UM’s UHealth, meanwhile, has extended its reach with a Naples offshoot of its famed Bascom Palmer Eye Institute, the Sylvester Comprehensive Cancer Center in Deerfield Beach and recently announced plans to create a medical center at SoLé Mia in North Miami. Its Lennar center in Coral Gables helped UHealth to record patient volumes in the last fiscal year while the center also earned an award from health care performance firm Press Ganey for scoring in the 95th percentile for patient experience, employee engagement or clinical quality. The building includes surgery suites and hosts cancer care, sports medicine, cardiology, imaging, eye care and other specialties. In the last year, it’s seen 13,000-plus patients a month who now don’t have to drive to the main medical campus.